Antonio Barbagallo is a jazz vocalist, guitar player, and composer. Born in Catania, Italy, he grew up listening to the favorites of his musician father (saxophone and clarinet): Louis Armstrong; Benny Goodman; and Antônio Carlos Jobim. Strongly influenced by this atmosphere, Barbagallo decided to pursue the music that fascinated him most to play, despite receiving a law degree from the University of Catania. In the early 90s Antonio formed an international jazz trio with pianist Alfio Bonanno and New Zealand bass player Jonathan Swartz. Unlike the groups he played with before, this trio would help shape his future. It was actually Swartz, after a recent time in New York, who convinced Antonio to move to the Big Apple." Arriving on US shores, Barbagallo studied with Barry Harris, one of the few living icons of Be-bop music as well as a great teacher for both instrument and voice. As luck would have it, at this time the Italian was selected to play guitar in the European School for Jazz Conductors and Instrumentalists' orchestra directed by Gunther Schuller. Based in Palermo, this was the pioneer school for "jazz conducting" in Europe, if not in the world. French horn player/composer/arranger/conductor and foremost jazz expert Schuller is a legend in jazz history, particularly for his contribution to the experimental "third stream movement," a midpoint between jazz and classical music. Not one to pass up such an extraordinary opportunity, Antonio returned to his native country for 3 years. Following this great experience with "Maestro" Schuller, Barbagallo relocated once again to New York polished and ready to face his future. Antonio Barbagallo's debut, Colemania (Ollio, 2004), is a tribute to his greatest inspiration: saxophonist and composer Ornette Coleman, master of the free jazz style, and showcases the original composition "Colemania." The CD features a mix of original compositions with lyrics written by his friend and collaborator, Gaetano Messina, as well as a combination of modern jazz standards and Brazilian jazz. 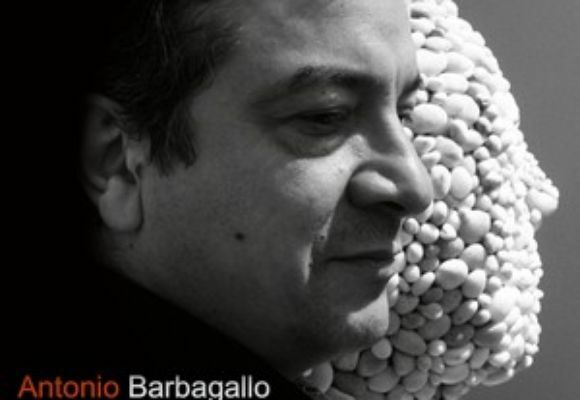 Following its release, Barbagallo worked with the compatriot Grammy-nominated trumpeter Fabio Morgera on his 2006 "Need For Peace" (Small) providing vocals on two of the CD's original songs. 2009 ushered in a new quartet with Craig Hartley on piano, Chris Brown on drums, and bassist Ugonna Okegwo, giving birth to "Splendida Luce," Antonio's brand new CD (March 2010). Released by Koine Italy, the Dodicilune imprint which showcases outstanding classical jazz & crossover singers, this newest work boasts special guests Fabio Morgera and rising star saxophonist Stacy Dillard. On the eve of this new year came the opportunity for Barbagallo to compose music for the Lee Barton-directed film, A Debt in the Life, starring French beauty Floanne Ankah currently making the festival circuit. Barbagallo lives in New York where he performs with his quartet at local jazz clubs. They will be touring in spring.